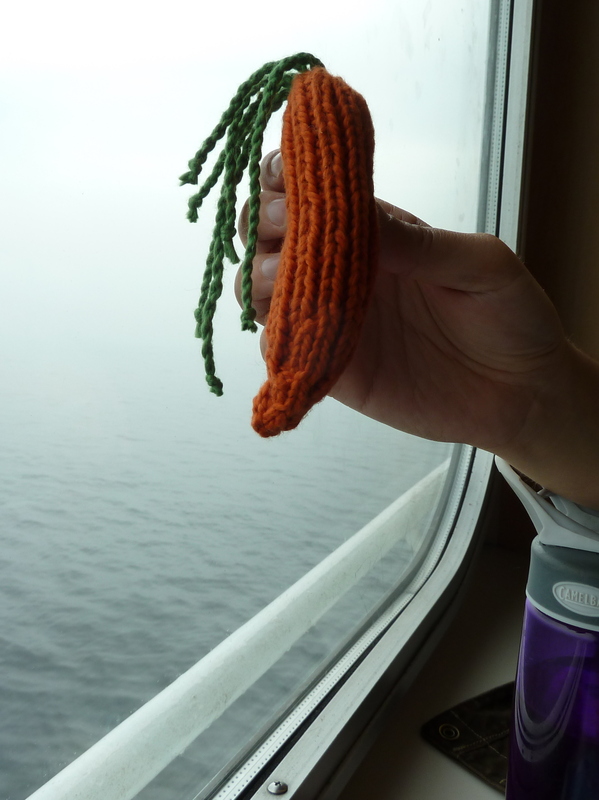 This is a knitted carrot I made for a friend’s baby shower (to accompany a collection of Beatrix Potter stories). I was making it up as I went, so I don’t have a pattern to post. I just like how it turned out & wanted to share.